The saga of Roy Moore, the Alabama judge whose path to Senate is currently getting tripped up by some horrifying allegations of sexual misconduct, is moving awfully quickly, so let’s recap what’s happened so far. Last week, five women came forward to say Moore had pursued them romantically when he was in his 30s and they were in their teens. One woman, Leigh Corfman, says Moore gave her alcohol and molested her when she was just 14 years old. Moore denied the allegations, while also somewhat oddly maintaining that he did not “generally” date teen girls when he was in his 30s. A few Republicans called on Moore to step down, while others stood by him, calling the women who accused him left-wing plants or emissaries of fake news. Moore’s numbers took a hit, but not as serious a one as you might have expected. Young Nelson also produced a note allegedly from Moore in her high school yearbook that read “to a sweeter more beautiful girl I could not say ‘Merry Christmas.’” She said she is prepared to testify under oath, a question Moore is currently dodging. VIDEO: I asked Roy Moore: "Beverly Young Nelson says she'll testify under oath. Will you do the same?" Many Christians reacted in dismay to the letter, which pledged unwavering support for a man whom, the evidence seems to suggest, may very well be guilty of some terrible crimes. But now it seems, as often happens, that all may not be as it appears. It appears the letter was posted to Facebook by Moore’s wife, Kayla Moore. But shortly thereafter, Tijuanna Adetunji of the Fresh Anointing House of Worship in Montgomery came forward and said she had not given permission for her name to be used on the letter. “I was not asked about this story or allegations,” Adetunji said. Not long after that, Pastor Thad Endicott told AL.com the same thing, saying that the letter itself was a version of an earlier letter that had been circulated before the allegations. It was now being reused without any of the signatories having been asked as to whether or not their opinions had changed. And indeed, the new letter does seem to be a version of this letter that is still on Moore’s website, with a few incriminating dates and references to the upcoming primary election removed. As of this writing, at least two pastors’ names have been removed from the list, per their requests. Now, a Franklin, Tennessee pastor named George Grant has come forward saying he never signed the letter at all and was never even asked to have his signature used. Grant says he hasn’t even heard from Moore in 10 years. 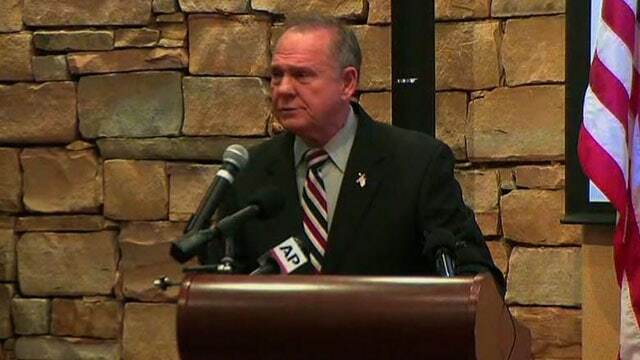 Pastor Joseph Smith of Pine Air Baptist Church in Grand Bay told an Alabama Fox affiliate that he supported Moore in the primaries, but doesn’t anymore. He says he was not asked about his name being left on the list. As of right now, there’s no telling whether or not the rest of the signatories stand by the letter or indeed if they’re even aware that their names are on it. But one thing’s for sure: Standing by Moore’s innocence looks like an increasingly bad idea.